Did you know that our whole menu can be freshly prepared and chilled for a cook chilled takeaway order? Simply collect from your chosen Aagrah branch then reheat at home! 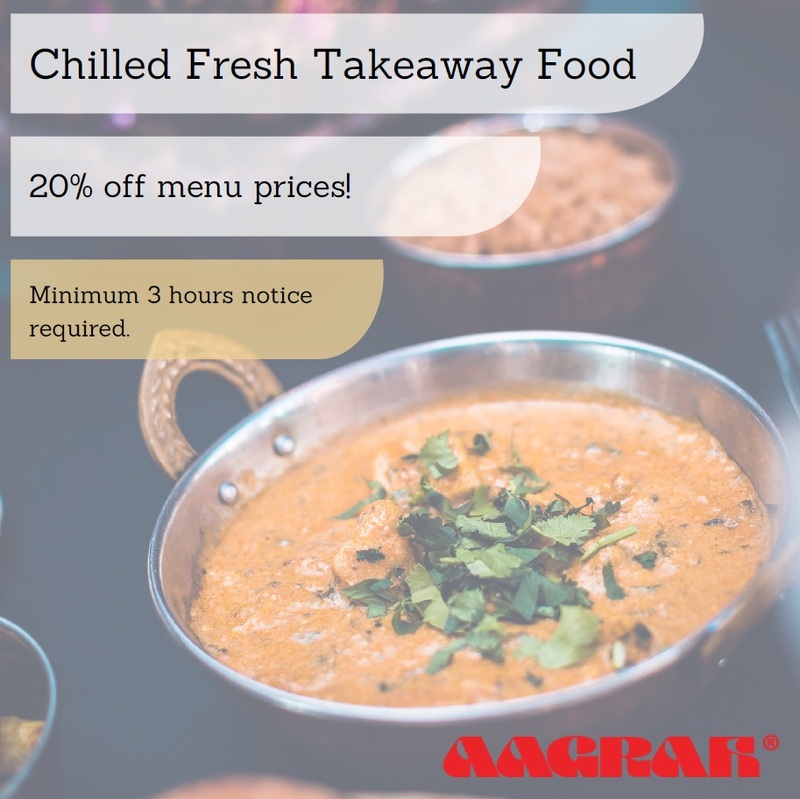 What’s more, you’ll get a 20% discount on normal menu prices for ALL cook chill orders! Enjoy freshly prepared authentic Aagrah cuisine for even less! We require a minimum of 3 hours notice to prepare cook chilled orders. Contact us to place your order or for further information. Branch numbers can be found here.